Welcome to Mr. Gus's Journal: What Code Do You Live By? Almost from birth we're instilled with words of wisdom to live by, and eventually they become the foundation and building blocks for our lives. Some children are raised with parents who teach them to be kind and respectful, as in "Be nice to others, be honest, tell the truth, work hard." To others that is less of a priority. Some parents teach this with loving kindness, others teach it with brute force, as in "Do what I say!" What ever the situation, our foundation of behavior, either learned by word or example by our caregivers is established in the early, formative years of our lives. 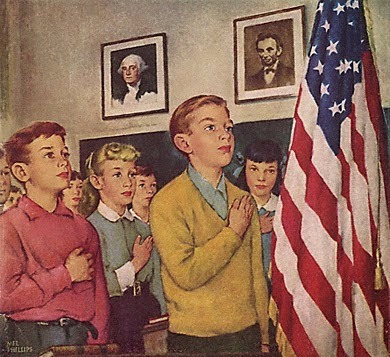 In elementary through high school we said the Unites States Pledge of Allegiance every day as part of our routine. This became a code for me, and perhaps a lot of kids from my generation. When I was a scout, about age 14, I had a respected youth leader once say, "Fake it til you make it." this stuck with me and I so I often put on an air of cheerfulness even when I am not feeling it. When I was nearing the end of my Corrections Academy I held up my right hand, and pledged to uphold, support and protect my fellow citizens and do my duty as an officer. These are some of my codes. The code or codes that we live by establish the people we become and are the formative grounds for our overall character. We either do our best or we don't. We're honest, or we're not. We follow the teachings and philosophies of some people or others. We're the only ones who truly know what our own codes of conduct are, and if they are in alignment with the betterment of society and our fellow man or not. I challenge all my readers, especially family members and my kids to look inward and think about the codes of life you were raised with, taught and adopted. Are those codes in alignment with your core beliefs? If not, make new choices to live a life that reflects your core beliefs and that uplifts others. So what codes do you live by?